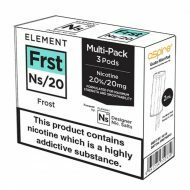 The Original strong icy menthol flavour by Element. 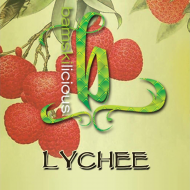 Refreshing, cooling, some might even say soothing. 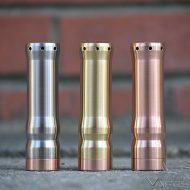 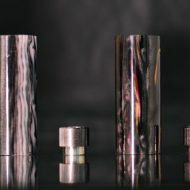 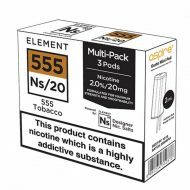 With the NS Series, Element’s e-liquid refill pods deliver an especially potent nicotine hit and are designed for use with the Aspire Gusto Mini Kit They come in packs of three 2ml pods. 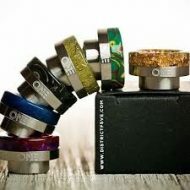 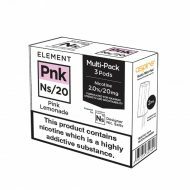 available in 10mg and 20mg Salt Nic. 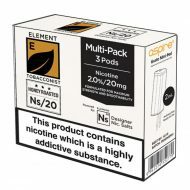 Honey Roast Tobaccoby Element is a palatable mix of earthy Tobacco with sweet and nutty undertones of Caramel and Nuts bringing a nice balance to this flavour mix all packaged in plastic bottles with a perfect blend ratio. 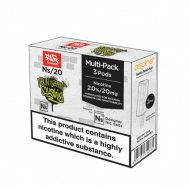 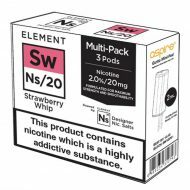 With the NS Series, Element’s e-liquid refill pods deliver an especially potent nicotine hit and are designed for use with the Aspire Gusto Mini Kit They come in packs of three 2ml pods available in 10mg and 20mg Salt Nic. 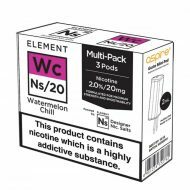 A refreshing blend of Watermelon and Mint, perfect for clearing the senses.